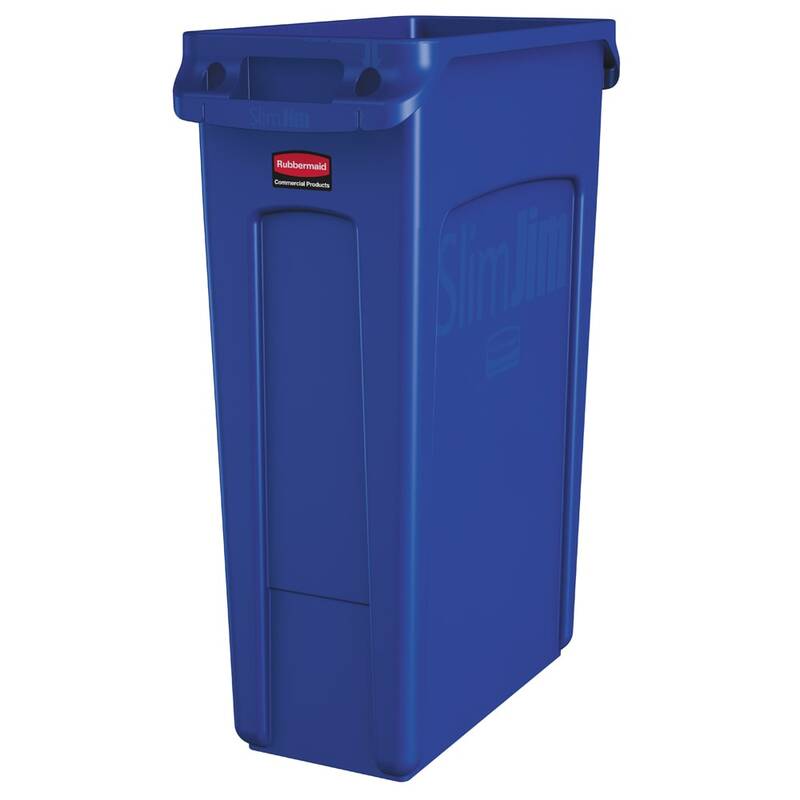 The Rubbermaid 1956185 rectangular Slim Jim® trash can measures 22 inches long by 11 inches wide by 30 inches tall and holds up to 23 gallons. The rim is rib strengthened to increase durability and prevent the rim from being crushed. Handles on the rim and base make the can easy to lift and transport. 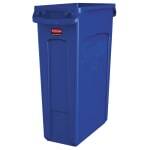 There are four bag cinches around the trash can’s rim, ensuring liners are secure without needing to tie knots. With the venting channels, the liners easily remove. Since the Rubbermaid 1956185 rectangular Slim Jim trash can has protection from UV rays, it can be used in outdoor settings.